Is Facebook still underpaying UK tax? Looking at the worlwide accounts sales are $27,538m and profit before tax $12,518m whilst the tax provision is $2,301m. That means the pre-tax margin is a staggering percentage 45.3% and the tax provision rate is 18.4% on profit. In the UK in contrast the pre-tax profit rate is 6.9% and the tax provision rate a somewhat low, and unexplained by the tax notes, 4.4%. It's really not hard as a result to form the impression from this new data that Facebook is declaring vastly lower profit rates in the UK than it is, overall, worldwide. And candidly, when the worldwide profit margin is 45.3% it is very difficult to think of any commercial logic that might justify that profit differential. I know that it will be claimed to be due to the intellectual property having been developed in the USA. But let's be candid; IP is worthless without a customer and it is UK customers who create the value added in this country, and not the IP as such. In that case I am of the opinion that in such an extraordinarily high margin business the only real basis for allocating profit to a country is on the basis of revenues earned there, which are what create the value in the IP. And in that case if profits were allocated to the UK at the worlwide profit margin then Facebook would be declaring £380 million of profit here. If they paid tax of about 20% on that, as we'd expect, that would be £76 million in 2016. The reality is that instead they eventually expect to end up paying just £2.6 million on their 2016 UK results. That does not make sense. 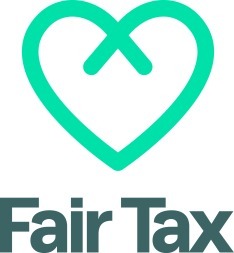 It feels like Facebook are still making a mockery of the UK tax system and their UK users by not paying their fare share of tax in this country, whilst their accounts, which they said would help us understand what they do in the UK, do nothing of the sort. In fact, they're massively opaque and give us little clue as to why profits are so low. Indeed, you could call the accounts pretty unforthcoming with some justification. Nor do they try to explain the low tax charge in any meaningful way, whilst the accounts are published as late as they could possibly file them as if to show how embarrassed they are about what they're doing. Overall they can fairly be described as a tax PR disaster. 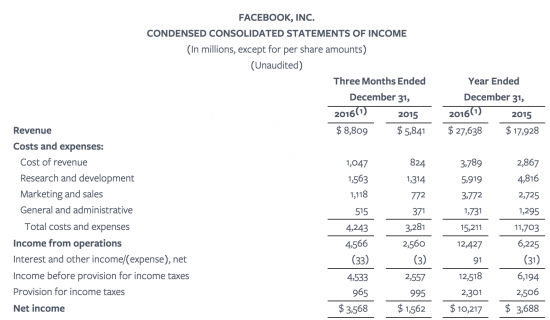 Facebook has a long way to go before it can be said to have appropriately explained its UK tax payments. And that failure is perhaps the most baffling thing about all this because it really does not look like, based on its worldwide tax rate, that doing that would be hard to do. It sounds like a good settlement would be half way between the established situation that content creators are the value adders, and your claim that content buyers are the value adders. This can easily be achieved by setting corporate tax at 0, and taxing land value and consumption instead. It would also liberate all those accountants involved in various ahem ‘schemes’ to go and work elsewhere doing something useful like planting a few trees. Ah, so you’d like the owners of capital to go untaxed and instead impose the most regressive taxes of all – on consumption – which the rich do least of in proportion to income. Are you a man possessed of a small fortune wishing to make it bigger Paul? Consumption taxes can be designed to be regressive , flat or progressive. Even you have said progressivity can be designed in. It’s entirely within the power of the State to understand about optimal tax design and implement accordingly. Again something you have said. As things stand in the UK, VAT is regressive because of the exemption on food. I’ve seen what the poorest eat, and it is overwhelmingly not in the VAT exempt categories. Applicable amounts of benefit claims can be increased accordingly. Inflation has averaged 2% over the last 7 years or so. You recently recommended a target of 4% and a central bank that is part of the Treasury. If inflation is below recommendation that suggests that taxation is too high, and tax cuts would be an excellent way to achieve that higher inflation target, especially ones that encourage investments that make us more productive. If Facebook are under paying tax surely they need to be reported for criminal proceedings. To whom? And will you do it Richard? I know if I under pay my tax HMRC come knocking. Which makes me wonder where advertising services to smaller UK customers (and how small / large is defined) are sold from. Also, in that note 1 above, “reseller” is a very carefully chosen word isn’t it? 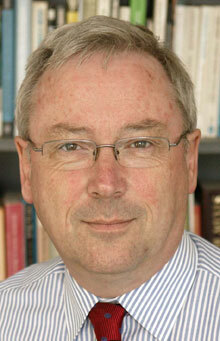 Implication is that the UK company merely earns a commission, or a mark up on the advertising it sells…. 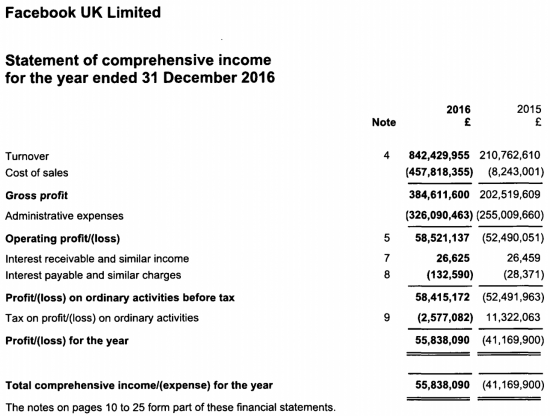 The company appear to have been quite generous, paying out £ 207 million (The majority of its ‘administrative expenses’) to their 1,000 or so staff, at an average of around GBP 200K each. Wouldn’t the tax take on these earnings be at the higher 40% rate on the majority of each individual’s earnings, rather than the 20% Corporation tax rate if the earnings had been retained as profit by the company ? I’m probably missing something, but surely the overall tax take to the UK is higher because of the high levels of rewards given to their staff ? Its a corporate tax issue and needs to be considered in those terms. The staff are not Facebook. I have some experience with Share Option grants, and the company have 1 potential route to granting share options in a non-tax efficient manner, and 4 options in a tax efficient manner. 4) Enterprise Management Incentive – Not available to companies with over £ 30 Million in assets or over 250 Employees. None of these would appear to offer sufficient routes to avoid higher rate tax on the majority of share grants, if we are talking about average compensation packages of £ 200K. (Unless the share grants are actually within any of the above limits, in which case the earnings would still be around £ 170K, so suffering a considerable percentage of that compensation at 40%). Mr Fante – The decision the company appear to have taken to reward their staff has apparently quite legally reduced their corporation tax bill. Are you saying that you would have preferred them to retain the earnings as profit and paid their staff less, resulting in a higher level of corporation tax being paid, but with the exchequer losing out overall because of a reduction in the 40% rate which would have been levied on the higher earnings per employee ? Ideologies are fine, but they don’t pay the rent ! I don’t have experience of US treatment of option grants, but I’m not certain what consequences there would be in the US if they have been granted to UK employees, and appear in the UK accounts ? You may be able to throw light on this ? US options are taxed in the UK in the same way as UK options are. The main difference is that UK options are more likely to be tax-efficient, as US option plans are not usually drafted with UK tax reliefs in mind. The majority of US share plans I have seen (probably all, come to think of it – though I have discussed with some US clients how to get UK reliefs, they’ve normally decided not to bother) have been either unapproved options, or grants of Restricted Stock Units (essentially phased gifts of shares). Both of these result in the employee paying full UK income tax (usually under PAYE, with NI too) on the shares received. In my admittedly limited experience, I can only see that a UK liability would have been created by the granting of options to UK employees, especially given its effect of reducing the UK operation’s corporation tax bill. Perhaps it creates some sort of tax advantage elsewhere ? What problems are you talking about? US shares cause no tax problems in the UK. So far as I’m aware they cause no tax problems in the US either, but I’m not a US tax expert. Not problems which would result in less tax being paid in the UK. That was my point. Was it yours? Tell me what is your goal? If IP should be taxed where customers are, does that mean that IP held in the UK in the aerospace and motor industries should be taxed in the UAE because we sell a lot of planes and cars there? This would be a boost for our industries as they have very low taxes there. I can see the point you are making now. Surely the consequence of taxing profits from sales of IP products in the country of sale rather than the country of origin will result a virtually impossible tax situation for IP producers? If instead of aggregating all the profits from worldwide sales to one tax jurisdiction (where the IP was created) and dealing with the tax authorities there, one has to deal with the tax authorities in every country where sales are made, it would soon be impossible for people to sell IP abroad, certainly in a small way. For example I know of a design artist (who lives in UK) who sells his work to customers worldwide, using the internet to deliver files. Are you suggesting he should have to deal with the tax authorities in every country he sells a single picture? Even though he’s never been to most of them? I can help you here Richard if you are busy. It makes no difference to UK taxation on UK individuals if their options are US or UK. Robert Ley’s summary is a good one. If Facebook paid their UK staff less they would pay more corporation tax but the exchequer would be worse off. No. Given the amounts involved UK options would make no difference. I do appreciate when you said above that you don’t have enough time to learn about these things. Your contributors here can be your tutor. No Richard you are wrong. It is perfectly possible for share options over US shares to be UK tax favoured. You could read read HMRC’s ETASSUM to bring yourself up to speed on the matter. Are the Facebook accounts simply yet another justification for what I have called “Infrastructure Charge” (see: http://outsidethebubble.net/2016/10/20/fair-taxation-on-corporate-profits-3/ ) and you have called “Alternative Minimum Corporation Tax” (see: http://tinyurl.com/ho6yy73 )? Something has to be done. The Conservative government simply don’t seem to be bothered about this but I hope that Labour really start to move on this. Corporation tax laws far too complicated and this approach, whatever it might be called, completely sidesteps the whole business. The increase in income to the Treasury would be quite considerable although I’m not sure I know how to estimate accurately. There were about 3m of them outstanding on 31 December 2016, worth about $85 per share, or $255m of value. That will give a significant tax deduction eventually, hence the large provision of a deferred tax asset. About 1.4m were settled in the year to 31 December 2016, giving a potential tax deduction for about $130m, which at 20% is about the £22m listed in the tax reconciliation as “additional expenses deductible for tax purposes” (just under a disallowance which I expect relates to the RSUs granted in 2016 for which there is an accounting charge but no tax deduction). That explains why the accounts show a corporation tax charge in 2016 of just £2.6m not £11.6m – in effect, they are giving a large chunk of the profits to the employees, who pay a higher tax rate (and NICs to boot). I would expect the UK company would be required to compensate its ultimate parent for providing the RSUs to its employees somehow. Perhaps an accountant can disentangle that more from the published accounts (which seem to be hosted for Companies House by Amazon Web Services, incidentally). In addition to the £196m intragroup payable there is a £145m intragroup receivable; coincidentally, the £50m difference is close to the UK operating profit. If the options were tax-favoured in the UK, there could well be less income tax for the employee *and* a corporation tax deduction for the employer. Does that make them more effective? That all goes to the UK tax charge, not the operating profit. Richard’s larger point is, I think, that the UK operations seem to be operating on a much lower profit margin than the workdwide business as a whole. You’d need to understand much more about the business to know whether that is justifiable. I wonder how much profit might be attributed to the UK under a formulary apportionment. The UK balance sheet seems very light, apart from debtors and creditors, but at a very broad brush level, if there are 1,000 staff here, compared to about 17,000 worldwide, that is about 6%. Taking that 6%, that might be about $200m of net income, compared to £60m in the accounts.